Kentucky State University is dropping a quarter of its students for nonpayment. The Lexington Herald-Leader reports some of the bills are as high as $40,000 and have lasted two years. Kentucky Council on Post-secondary Education Vice President Aaron Thompson says, many of the students may have faced family income constraints. Thompson adds however, tuition payments are the basis for supporting academic programs. "We could argue on what needs to be done on the end of financial aid and so on. But to come to a university or college and get access, you then have to figure out a process to help them be successful. To do that, you have to have an infrastructure set, and to have an infrastructure, you have to have payment," said Thompson. Most universities in Kentucky do not allow students to register for an upcoming semester without first paying unsettled bills. Enrollment last fall at KSU was just over 2,500. Thompson says dropping over 600 students is a significant number for KSU. The university faces a $7 million shortfall due to losing the students who haven't paid. 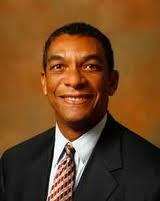 However, interim President Raymond Burse said Wednesday, future cost savings may fill the gap. Burse said he expects about 200 students to pay their bills and return.